I had been stalking the BYU USGA - Understanding Same-Gender Attraction facebook group for a few months when I decided to attend one of its meetings. For months before starting my coming-out journey, I had secretly longed to attend, just to see what other gay mormons were like. Unfortunately, nobody actively posts to that group, so I got the impression that it was secretive and exclusive for those who are already out. After coming out and being comfortable with my friends knowing, I concluded that I was now eligible to attend a USGA meeting without fear. By this time I had made lots of good friends—gay and straight allies—that mostly went to BYU and UVU. None of them were active USGA attenders, and I had been told that USGA was too liberal and bitter toward the church. Depending on who you talk to, every gay support group is too something—liberal, conservative, bitter, depressed, apostate, sketchy, dramatic. I decided to check out a lot of these groups for myself to get a clearer vision. A good friend told me that if you think a group is too something, you should go be the change to bring it back into balance. I thought I should give USGA a chance. The night I attended, the meeting was held just a few blocks from my apartment—actually it was close to some of my gay friends' apartments. I wondered if my friends even knew about it. I walked those few blocks and across the parking lot. Just as I rounded a corner, I ran into two of my friends walking away from where the meeting was to be held. I blurted out "Change of location?" They gave me a puzzled look. Quickly changing the topic, I asked what they were up to. They invited me to go running with them. I'm not a runner so we parted ways. Luckily they didn't know about the meeting being held just a few doors away—I wanted to attend alone this time, just for an unbiased experience. I found the place and made my way to a seat along the wall—I didn't want to be in the way. The sensitivity to privacy concerns is impressive. They are videoing the panel and set aside couches that wouldn't be filmed. They do a great job of accommodating everyone. It's a lot more light-hearted than other meetings I've been to. You can feel free to speak and be who you are. They are comfortable talking about sexuality and its implications—good and bad. Other groups tend to focus on it as a challenge or struggle. Many here seem be positive about life. Overall, it was a great meeting! A couple of people come up and met me, and they were friendly. At the end of the meeting I got up and looked around behind me. There were a lot of people there! Then I saw somebody I knew (not too well, but I knew his name)! I went up and officially met him. He introduced me to a few people, and we became pretty good friends. My first USGA friends! We then went for pizza—the whole group typically gets food after the meeting. I seemed to have found a group of people that have a broad range of opinions and ideals, but there was broad unconditional acceptance as well. Some other groups I had been to seemed to have a sense of conditional acceptance—only if you had the same goals as the group were you brought in to the camaraderie. Here, there seemed to be different sets of goals, but everyone was tied together through the feelings and experiences they've had. Getting through and enjoying life seemed to be the ultimate goal of USGA—an incredibly valuable experience for me. I'm glad that you had a good first experience! Sometimes we just play games and have fun; other-times it gets really philosophical but generally people just state how they feel or are thinking at the moment. 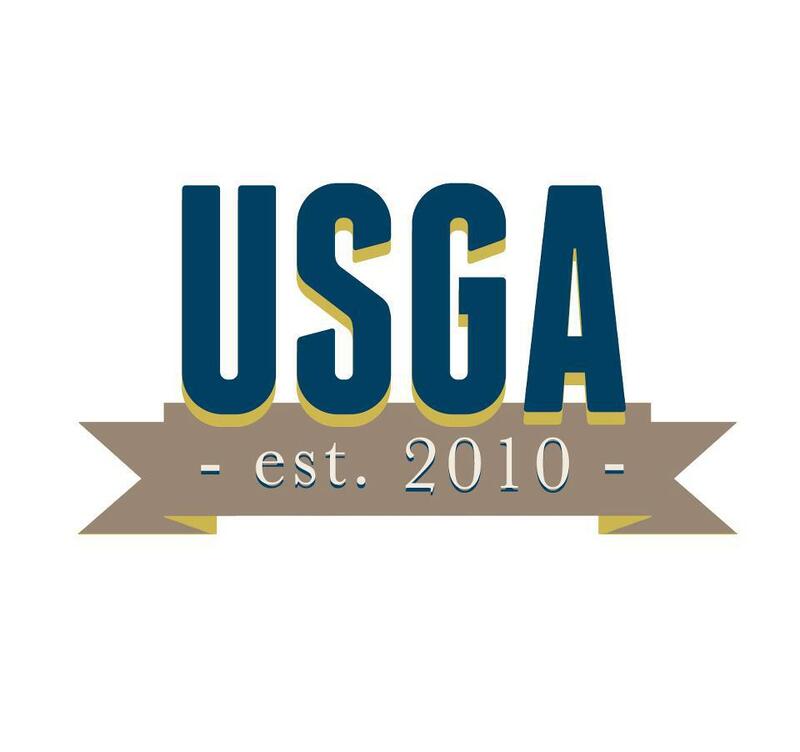 Apparently after it's ejection from campus USGA has become more niche - tighter circle of friends. We are a very open come as you are group though it's not a clique at all. . When it was on-campus I've been told there was a lot of negative bashing the Church and USGA attracted a larger circle beyond gays. I've made some good friends there that will help me get through BYU, and it would be much harder without them. I think I would give up and transfer out otherwise. Yeah, I will definitely be returning this fall and winter. I'm trying to take a balanced approach to all of this—checking out a few different groups and such. Consider yourself lucky that attending such a meeting does not put your standing at BYU or your Church membership at risk, totally upending your life. I graduated from BYU in 1985 and this would have been completely unthinkable in the early to mid 1980s. Back then you only had three options really - stay deep in the closet, go to so-called reparative therapy or leave. That was about it. It has been two generations since Stonewall, and 30 years since I graduated from BYU, and only now is such a gathering possible at BYU (and even then the meetings got kicked off campus). When I was at BYU I remember once furtively browsing through the section with books on homosexuality. Back in pre internet days it was really the only way to get information. I did it at a time when few people were around and was careful that no one saw me. As I looked through the books (I would have never dared to check one out) I came across a handwritten note in one. It was a desperate note, written by a guy who was attracted to men. He did not know what to do about it. He was lonely and afraid and just wanted a friend he could talk to. The note had a phone number and he asked whoever found it to please call. You know what I did with that note? I threw it away. I was afraid that it might be a trick by campus security to catch people - I had heard stories about their tactics to flush out LGBT folks. Or if it were written by a real person I was afraid the note would fall into the wrong hands and his life would be ruined. I did not have the courage to actually call. I have often wondered since, if there was a real person behind the note, what happened to him. I hope he had a happy ending. Luckily, I had a happy ending. I am married to a man I love deeply and we have a good life. But being gay at BYU in the early 1980s was awful and lonely. It might not be much better now but at least you can honestly meet and talk without fear of being kicked out of school or being excommunicated. I'm sorry that was your experience. I also perused that section of the HBLL looking for answers, and I know what you mean about checking out the books. Luckily now they have an automated system you can opt to use. Also I wasn't aware of Stonewall—I just looked it up. Thanks for the reference. I really do consider it a blessing that the honor code was revised to specifically state that "One's stated same-gender attraction is not an honor code issue". I graduated in '09, obviously pre-USGA. I was grateful, though, that there were "unofficial" groups in the valley I could go to. With out 'em, I never would've met any other Mormon guy in my same situation. Glad you were brave enough to step out of your comfort zone! It's always nerve racking to do so but when it results in a good experience, it makes it all worth it. Six Months Out! What next?